Includes, Exam, Consultation, X-Rays & Report of Findings with Doctor AND an Adjustment! Get to know our experienced chiropractors! Here at Olson Brothers Chiropractic, we provide individualized chiropractic care for a broad range of conditions, from common low back strain to auto accident injuries. We proudly serve the communities of Roseville, MN, New Brighton and St. Anthony, using a variety of techniques designed to restore function after injury and to improve general health. Dr, Dennis Olson, and Dr. Daniel Olson begin their evaluation of your physical condition with a thorough medical history and discussion of your symptoms. We treat a broad range of problems, including pain from old sports injuries, auto accident injuries, and work-related issues. We can also help patients improve their general health and general function, with spinal re-alignment, lifestyle advice, and nutritional counseling. We can provide innovative techniques for your care, including spinal decompression, cold laser therapy, cervical compression extension traction, extremity treatments and chiropractic biophysics techniques. Whatever the source of your pain and problems with mobility, we can provide relief from discomfort, increased flexibility and improved range of motion. We have experience treating auto accident injuries, such as back pain, whiplash, shoulder and hip injuries. We can provide massage therapy to aid soft tissue damage and improve healing. Corrective exercises can help to strengthen muscles after an injury, to help restore normal function. We also provide orthotics to help to relieve foot pain and promote re-alignment of the spinal structure to create a pain-free movement for normal activities. We are happy for the opportunity to provide care to patients in the Roseville, MN area. Our commitment to quality care, with your individual needs in mind, ensures that you will receive treatment that helps to improve your physical function and allows you to resume the activities you enjoy as quickly as possible. Our chiropractors and the trained assistants will help you feel comfortable, so you can be assured your concerns will be addressed and your needs taken care of attentively during your treatment. Dr. Dennis Olson and Dr. Daniel Olson utilize their knowledge and extensive experience to determine the most beneficial treatments for their patients in Roseville and surrounding communities. With a commitment to healing and a reputation for patient care, we provide a drug-free, non-invasive option for treating many different types of conditions. Call Olson Brothers Chiropractic today at (651)633-0155 for an appointment to discuss treatment of your injury and how chiropractic treatment can offer relief of pain and better function. New Patients Get an Examination, Consultation, X-rays and Report of Findings with Doctor AND Your First Adjustment! 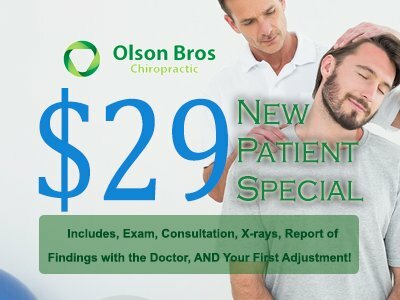 The Olson Bros mission is to serve our community by utilizing the unique, healing art of Chiropractic while maintaining our small town values and delivering a truly remarkable and satisfying health experience at an affordable price. "I have been so happy with the chiropractic care I've received at this clinic! It is a small family business, I knew everyone by name after my third appointment.... I am so impressed with my improvement and reduction in pain." 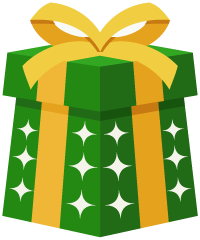 "I was blown away by the quality customer service and care for myself as a new patient... I walked out of the office with a smile on my face and my body feeling much better than when I walked in." 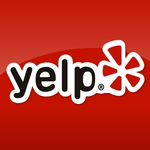 "Helpful staff intelligent doctors what more could you ask for I highly recommend this place to anyone." "In short, Olson Bros Chiropractic has given me my life back! I love Olson Bros Chiropractic!"